PET TAG Lightweight & durable aluminum. 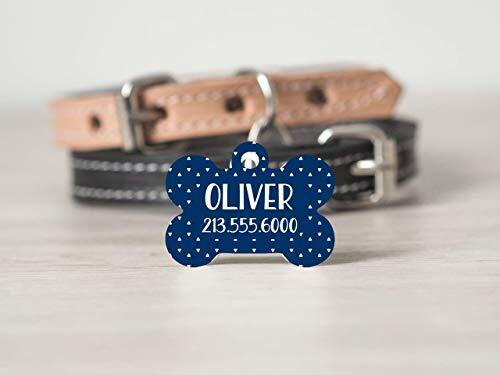 Size: 1.25" Each customized tag is permanently fused for a vibrant high quality image that will last a lifetime and will not fade, or peel off. *NOT A DECAL OR STICKER* LISTING INCLUDES 1.25" Aluminum construction ORDERING Choose option for color or shape Add to cart Include custom information for ornament in "Notes to Seller" section during checkout. KEEP IN MIND Colors may appear different on paper than they do on the monitor screen. We try our hardest to accurately represent our items through photographs and descriptions. Monitors are not created equal and may vary slightly in color. Any questions? Want different colors or sizes? Send us a message, We''ll be happy to help! If you have any questions about this product by Mon Cheri, contact us by completing and submitting the form below. If you are looking for a specif part number, please include it with your message.